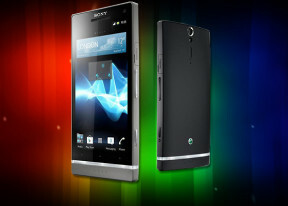 The Xperia SL boasts a 12 megapixel camera with a back-illuminated Exmor R sensor and a single LED flash. It's capable of producing stills of 4000 x 3000 resolution. We have every reason to believe that the Xperia SL features the same image sensor and module as the Xperia S and possibly the acro S.
The camera controls on the Xperia SL are identical to those of the Xperia S - they are available on two taskbars on either side of the viewfinder. On the left you get four shortcuts to various settings, while the still camera/camcorder toggle, the virtual shutter and a thumbnail of the last photo taken are on the right. The menu key brings up two pages of extra settings - scenes, resolution, smile detection, geotagging, image stabilization and focus mode among others. You can customize three of the shortcuts on the left (the shooting mode shortcut is fixed). There are five capture modes to choose from: Normal, Scene recognition, Sweep Panorama, Sweep Multi Angle and 3D Sweep Panorama. In Normal, you pick the Scene settings manually or you can enable Scene recognition and let the Xperia S take a guess (it's fairly good at it). The 3D Sweep Panorama is business as usual - you press the shutter key and pan the phone across the scene. The resulting panoramic photo can be viewed in both 2D and 3D (on a compatible TV). The Sweep Multi Angle is much more impressive - you take a photo in the exact same way, but the result is very different. It produces something like a lenticular card, providing a different perspective when viewed at an angle. Tilting the phone lets you look at the object from different sides. A shot of a moving object looks like an animated GIF or creates interesting and sometimes comical distortions.Photos taken in Sweep Multi Angle mode are handled by a separate app called 3D album, and not listed in the regular gallery. And just to make it clear again - the Xperia SL doesn't have a 3D screen, but rather cleverly relies on its sensors to detect the handset movement and it changes the on-screen image accordingly. The Xperia SL features a Quick launch option, which lets you customize the phone's behavior upon a press of the camera key when the phone is locked. The default option is Launch and capture - it unlocks the phone, starts the camera and instantly snaps a photo. It's hard to frame the first shot right from this mode, but you can quickly take another photo as the camera reloads quite fast. The other option is to just unlock the phone and start the camera, or you can disable the feature altogether. The Sony Xperia SL proved to be a very capable shooter. It produces images with loads of detail and great colors, especially at base ISO when there's plenty of light. The camera was also very fast to start up and locks in on targets very quickly, rarely missing to focus or focusing on the wrong thing. Noise is kept well under wraps - it's only visible in areas with solid color like the sky, windows, etc. Detail is very impressive even from very up close and having the physical shutter key really adds to the ease of use when shooting with the Xperia SL. Overall, the camera on the Xperia SL shows a tendency towards regaining the past legacy of Sony Ericsson as a good cameraphone maker. What we like about it is that even with the right hardware on board Sony have tweaked the software just right so that it produces good results in every condition. The Sony Xperia SL enters our photo quality comparison tool butting heads with its siblings, the Xperia S and the Xperia acro S. Feel free to choose any other adversaries you wish - the tool's page will give you all the information on how to do that and what to watch out for. The Sony Xperia SL captures 1080p and 720p videos at 30 fps, currently the upper limit of what you can expect from a smartphone. The camcorder has similar settings to the still camera, including focus mode, metering, exposure value, image stabilization and so on. The layout of the shortcuts can be customized here, too. The Xperia SL camcorder features continuous autofocus. It may take a few seconds to refocus after you re-frame but that's better than repeatedly attempting to lock focus and ruining your video. FullHD videos are stored in MP4 format (19Mbps bitrate) and the frame rate nails the 29fps mark. The Xperia SL videos come with stereo sound recorded at 131Kbps bitrate and 48kHz sampling - all pointing to slightly superior video recording compared to the Xperia S.
While numbers show a potential for high quality the actual end result isn't as good. The Xperia SL produces smooth videos with okay colors but the level of detail isn't inspiring and the videos look blurry and lack the proper sharpness you get with devices like the iPhone 5 or Galaxy S III. Here is a 1080p video sample captured with the Xperia SL. 720p videos are a slightly different story. While audio bitrate and sample rate remain the same, the video bitrate measures around 12Mbps. If you want to look closer at the video quality, you can download 1080p and 720p samples taken straight off the device. We've added the Xperia SL to our video comparison tool. See how it fares against the likes of the Xperia acro S and the Xperia S.